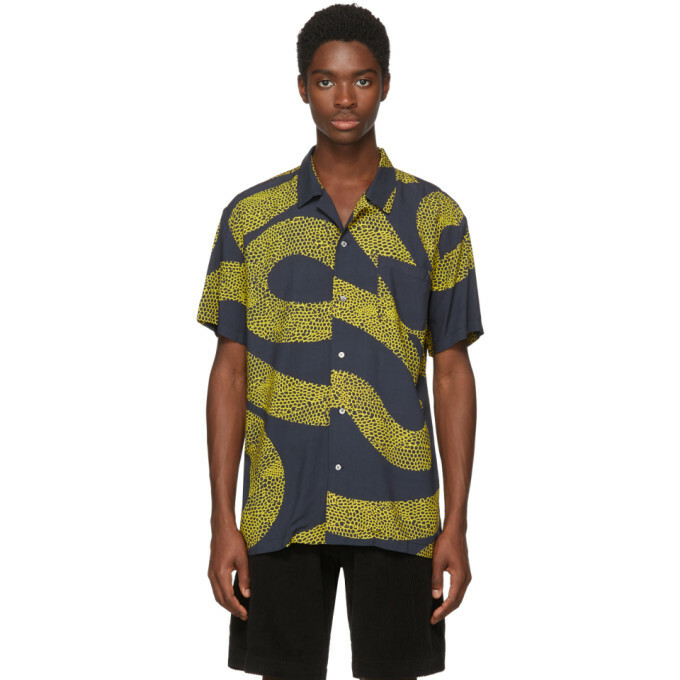 Short sleeve rayon shirt in black featuring graphic pattern in gold-tone throughout. Spread collar. Concealed button closure at front. Patch pocket at chest. Vented side-seams. Tonal stitching. 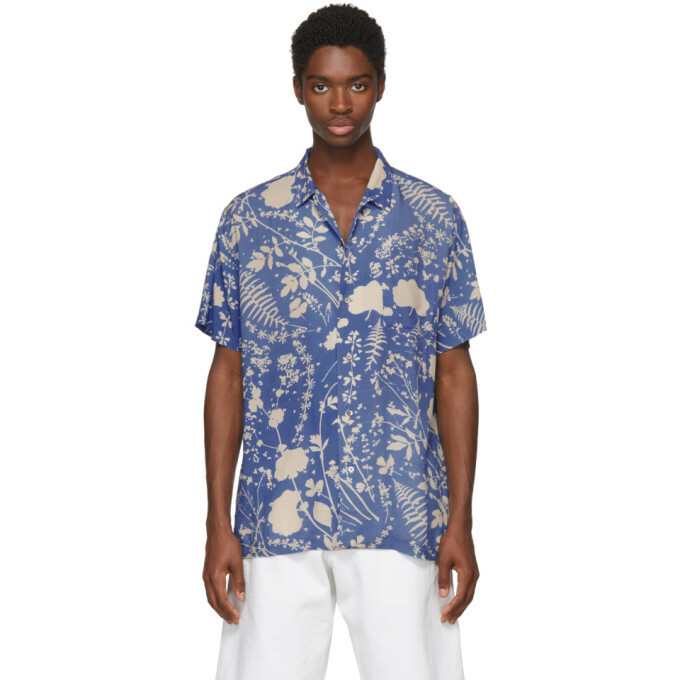 Short sleeve rayon shirt in 'Richie' blue featuring floral pattern in off-white throughout. Spread collar. Concealed button closure at front. Patch pocket at chest. Vented side-seams. Tonal stitching. 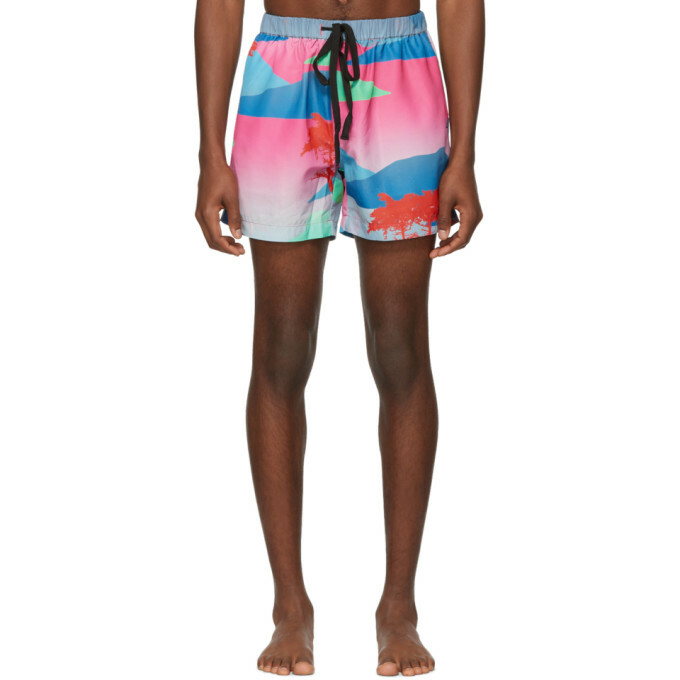 Relaxed-fit swim shorts featuring multicolor graphic pattern throughout. Mid-rise. Black drawstring at elasticized waistband. Three-pocket styling. Partial mesh lining. Tonal stitching.